But what if a craving for brownies hits you? Sure, you can go to the store and get some. Or you can face the heat, turn on the oven, and bake up some tasty avocado brownies. 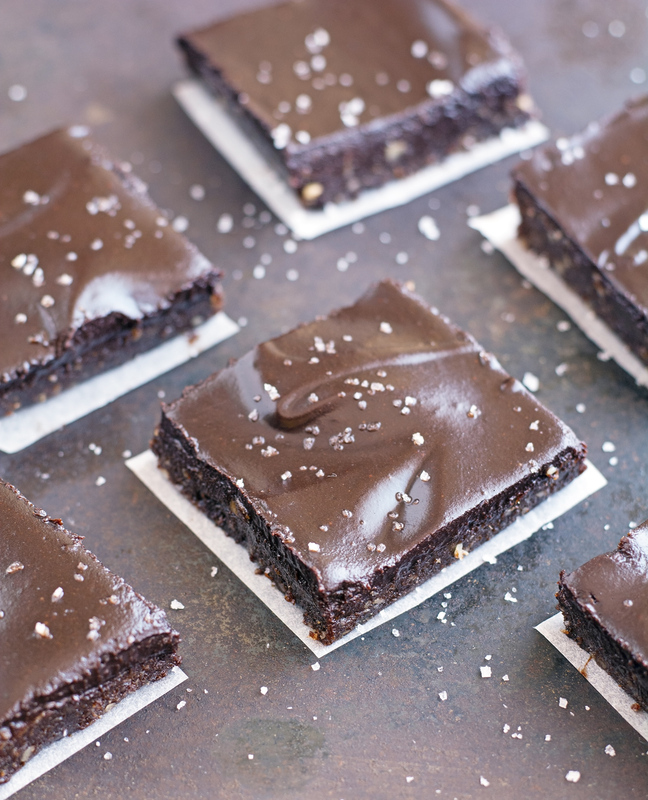 OR you can make in mere minutes these incredible Fudgy No-Bake Brownies. 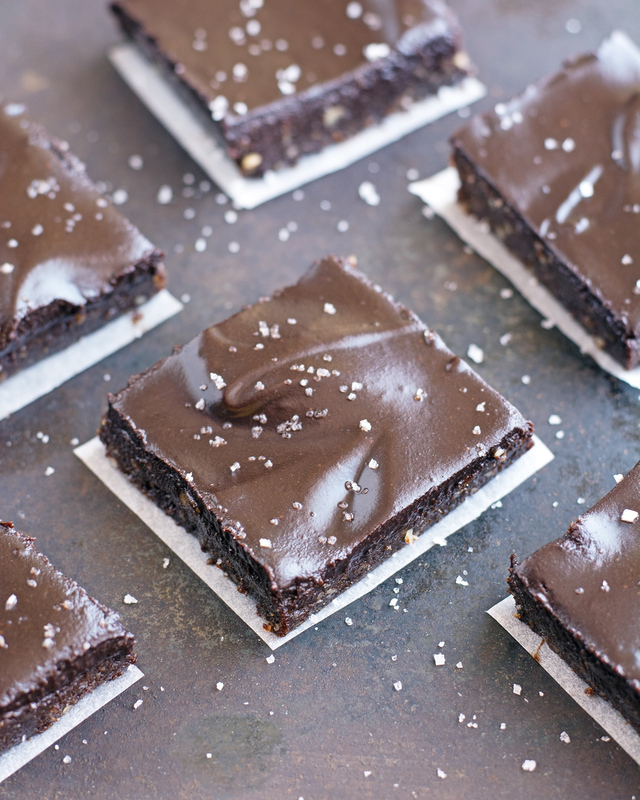 Brownies with benefits that you can feel good about eating. Brownies that taste ultra-decadent, yet are free of refined sugars thanks to naturally sweet dates and maple syrup. 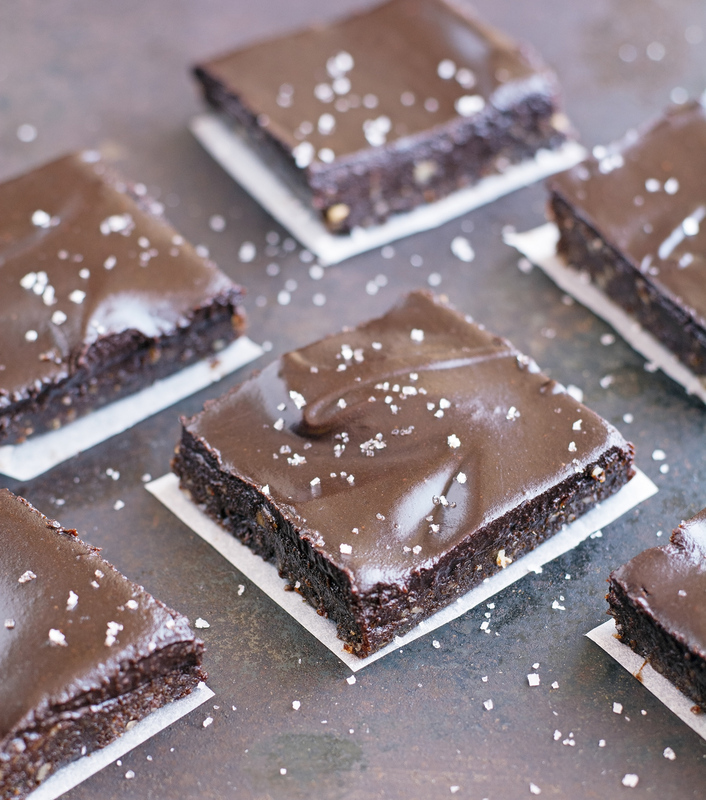 They’re vegan, paleo, raw but what matters most is that they are everything you want in a brownie: Rich, dense, fudgy, studded with pecans for crunch, incredibly satisfying, and so quick and easy to make. And it’s such a relief to make a delicious dessert without having to turn on the oven. Not to mention, they use ingredients you probably have on hand in your pantry. If you’re going to share these Fudgy No-Bake Brownies you probably want to serve yourself first, because your friends are not going to save you any. Fudgy No-Bake Brownies Print this recipe! Line a 8x8-inch baking pan with parchment paper. Set aside. Place dates, walnuts, cocoa, water, salt, and vanilla extract in the bowl of a food processor. Process until smooth, stopping and scraping the sides as needed. It will look a bit dry, that’s okay. Transfer to the lined baking sheet and press firmly until evenly distributed. Place in the refrigerator to set. To make the frosting, in a medium bowl combine cocoa, maple syrup, coconut oil, and vanilla extract. Stir until a paste forms. Refrigerate for at least 2 hours, until set. Cut into squares and have at it. Keep in an airtight container in the refrigerator up to 2 weeks. One brownie yields 145 calories, 7 grams of fat, 22 grams of carbs, and 2 grams of protein. As I don't have access to a food processor, may I use date paste instead? No-bake recipes have my heart! And I simply love this one, there's no going wrong!